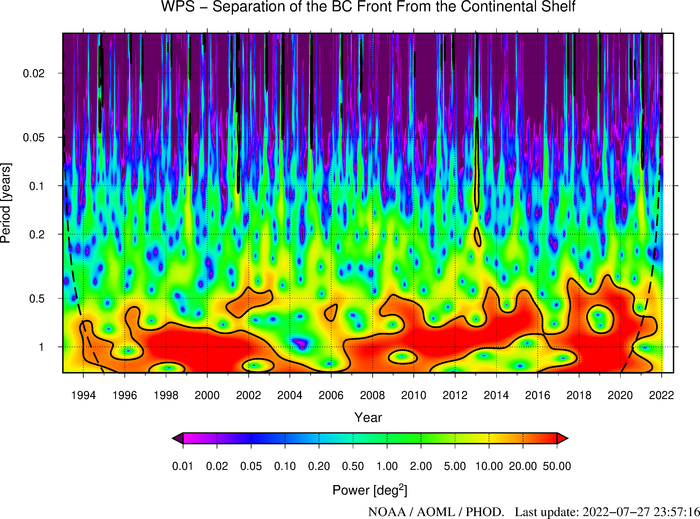 The figure below shows the Wavelet Power Spectrum (WPS) of the latitude of separation of the BC front from the continental shelf, defined as the intersection between the -1000m bathymetry contour and the contour when the 10°C isotherm is 200m deep. The solid black contour represent the peak-based significance levels, computed at 95%. The dashed curve indicates the cone of influence (COI). Edge effects become important in regions of the wavelet spectrum below the COI. 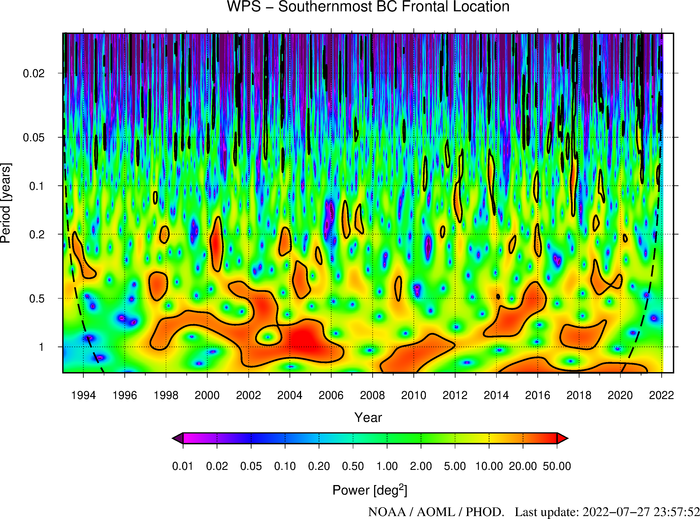 The figure below shows the WPS of the latitude of the southernmost frontal location defined as the southernmost position of the altimeter derived 200m contour of the 10°C isotherm. The solid black contour represent the peak-based significance levels, computed at 95%. The dashed curve indicates the COI. Edge effects become important in regions of the wavelet spectrum below the COI.